There's a reason why submarine movies are a big hit. The tense, claustrophobic action is the basis of many nightmares. If you simply say the word "submarine," you can already start to feel the hull of the sub closing in on you. There are great submarine movies (The Hunt For Red October, Das Boot) and there are terrible submarine movies (Ice Station Zebra), but there is always an abundance of sub movies. There's just something inherently cool and unknown about the danger underwater that draws us into the action. 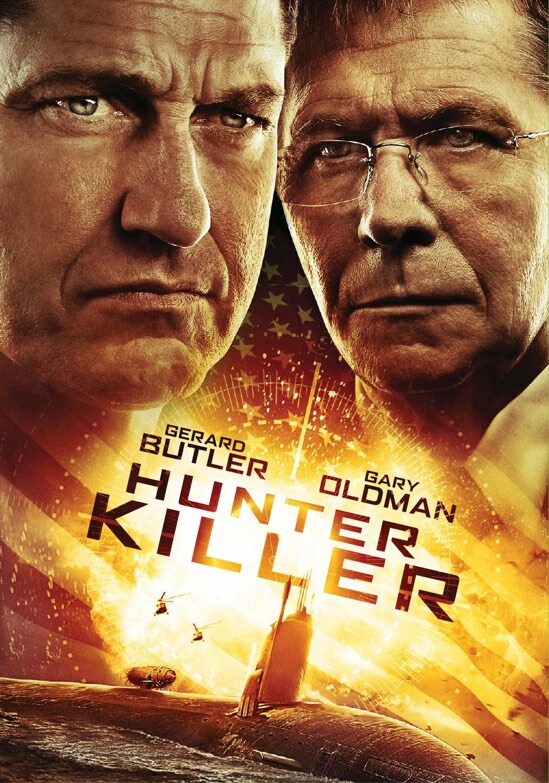 Enter Hunter Killer in which an American submarine captain hunts for a U.S. sub in distress but uncovers a Russian coup. Now, he must lead a desperate plan to rescue the deposed Russian President and avoid World War 3. While this film's plot is hardly anything resembling novelty, it serves the purpose of providing us with plenty of harrowing submarine battles and Navy SEAL action. As a viewer, that's all that we can ask for. 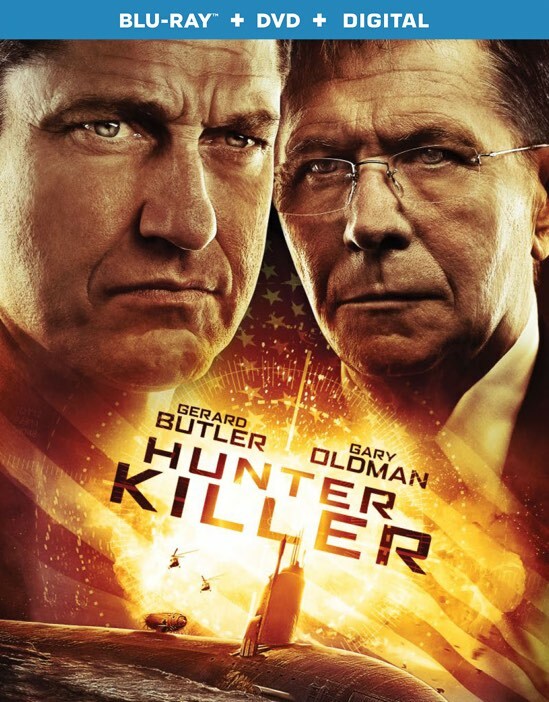 Let's face it, we're not picking up Hunter Killer to watch Gerard Butler or Gary Oldman wax intellectually about the political repercussions of arctic territory incursion. No, we want things to go boom and Hunter Killer provides plenty of explosions to keep even the most ardent action fan happy. I have always had a bit of a lukewarm reception to Gerard Butler, he just seems like another anonymous action actor that doesn't really do much to stand out from the crowd. In this film, his measured approach is actually a positive as I could see a lesser actor go full out Nic Cage over the top with this role and ruin the film. One performance that I really didn't care for all that much was the one turned in by Gary Oldman. I love me some Oldman, but he's just out of sync here and probably miscast. I would have loved to see him as Captain Andropov, although Michael Nyqvist is serviceable in the role, I would have much rather enjoyed seeing Oldman trading verbal spats with Butler on the sub. Again, I was pleasantly surprised with Common's restraint in his scenes. Most of his action is opposite Oldman and Linda Cardellini and he more than holds his own against these established actors. That's not a knock on Common who has quite a long acting resume as well, but he just never really impressed me before, but here he provides a nice calculated punch when the film needs it most. While the film's story seems like it was recycled from an earlier age with its America saving the world motif, I found that it played more like a patriotic song in a unsure world. If you look around at the political environment that we currently find ourselves, it's not unreasonable to think that this might actually play out at some point. It's a crazy world that we live in and if things get close to the breaking point, I would feel much better knowing that there are brave men and women out there protecting us from all enemies, both at home and abroad. I was fortunate to review the 4K UHD Blu-ray version of Hunter Killer and I can say without a doubt that is the best possible way to watch this film. The Dolby Vision print with HDR provided surreal lifelike colors to even the deepest ocean depths. The high contrast blacks were also very noticeable in the many dark scenes set in the dingy confines of a submarine. This transfer has me excited for the eventual release of some of the classic sub movies in the near future. The Dolby Atmos soundtrack was also a very compelling component of the 4K UHD version as the contrast between the silence of the deep ocean and the explosions were especially evident. You could tell a noticeable difference in the sound between the 4K UHD and the regular Blu-ray. <>At the end of the day, Hunter Killer certainly doesn't break any new ground in the crowded sub genre of action films, but it's a worthy entrant. The action was consistent and the story was compelling enough to hold your attention from one explosion until the next. 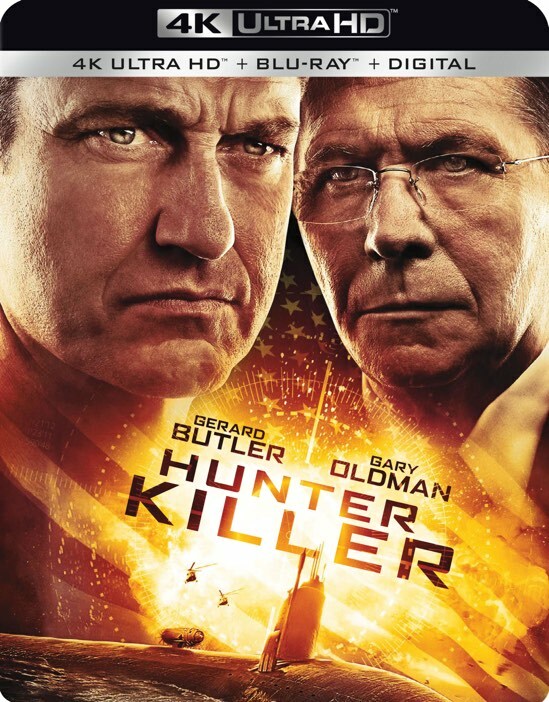 Hunter Killer is now available on 4K UHD, Blu-ray and DVD.